ScarJo Features In The ‘Rough Night’ Red Band Trailer!!! Director Lucia Aniello (‘The Traveling Bong‘, ‘Broad City‘) lights up the big screen with Scarlett Johansson (‘The Avengers‘), Kate McKinnon (‘Saturday Night Live‘) and Zoë Kravitz (‘Mad Max: Fury Road‘) in a Hangover-ish flick about a bachelorette weekend. 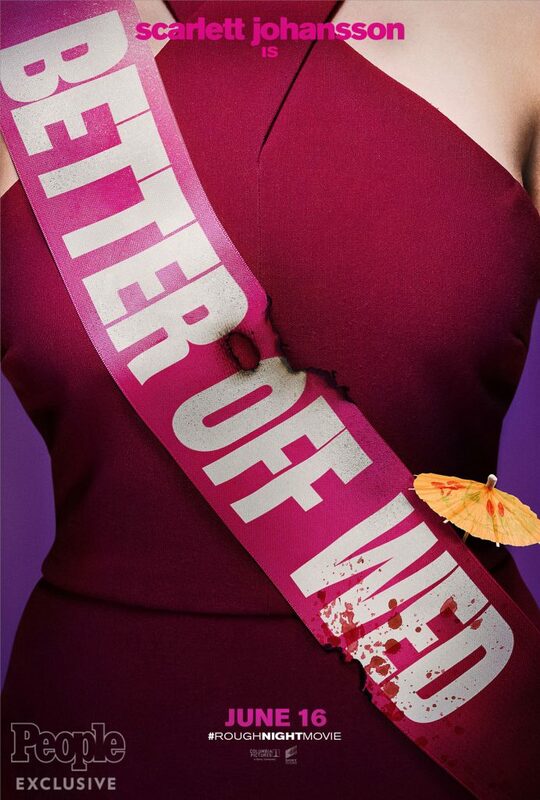 Well, a bachelorette party gone wrong since a male stripper ends up dead at a Miami beach house.